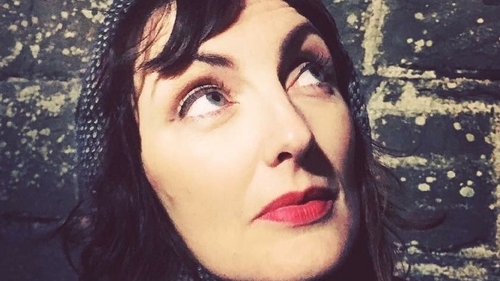 We're delighted to present New Irish Writing from the latest edition of essential Irish literary journal Gorse - a stunning essay entitled Your Chroma by writer and broadcaster Sinead Gleeson. NB: This piece contains adult themes. of uterine breaths, the red highways of arteries, splayed. Begin the descent to bone. looking at the bubble of blood at its mouth. Its red gasps. red? What was he thinking? and create a new shade for the interior. A born again hue. also not-blue, not-green, not-black, not-white. my father, but we are related. I descend from red hair. stay hidden, girl, cover yourself up—in a tocsin shade of red. Get up! Her mother pulls the blanket off her teenage bed. returning with a hot water bottle, and a box of Feminax. In the belly of the wolf, she is safe. She cannot be eaten again. Consumption saves her from more (male) consumption. Stay hidden girl. Belly as cave. choking and Cinderella dancing with glass-slippered feet. only wear clogs, or no shoes at all. a declaration of war. The gloss is so high it looks like glass. bodies the epitome of capitalism, even in pop music. How should we present our face to the world? How should we present our (female) face to the world? Make-upped, pore-blocked in shades of ivory and sand. red lipstick. Too orange, too ephemeral, too knife slash. Would you not get that removed? place to point to when asked what was wrong with my life. I have never needed stitches because of a cut. My skin resealed with metal, paper and thread. just to psychologies and fear—but to knives and violence. The body is the ultimate horror setting. hands shoving, the weight of arms, a rearrangement. the spinal block, shoving me back under the waves. right leg was thinner than her left, a result of childhood polio. urethra, aorta, uterus. Body as outpost, as tidal island. phone boxes, red postboxes. Imperial, post-Colonial red. to imagine your body at 11:11, or 12:34.
no children’s flash cards like there are for eye or mouth. you there you say, and brush your lips against my cheekbone. said he looked up at the wrong time and saw my intestines. that Alien is a film about male fear of childbirth). government pays stamp duty on your cervix. Tick tock, women’s body clocks. Have a baby even though you’re not ready. Have a baby when you can’t afford a home. Have a baby when you’ve been raped. Heads, shoulders, knees and toes, knees and toes. in three months. Your body is ours. uncompromising. Come at me, it says. In the hospital, you are not supposed to use your hands. Christ’s side, guiding an army into his blood. shattering his leg. I’ve never gone to war or been beatified. colours at the end: white, grey, blue, purple, a tinge of green. The body spent and stopped and still is not red. But when will the red stop? About the author: Sinéad Gleeson’s essays have appeared in Granta, Winter Papers, Banshee, Gorse and Autumn: An Anthology for the Changing Seasons. Her short story Counting Bridges was longlisted at the 2016 Irish Book Awards. 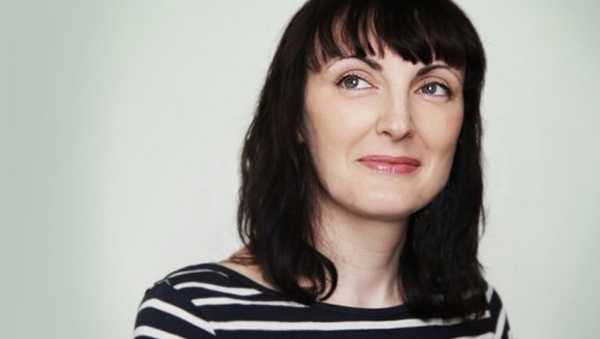 In 2015, she edited The Long Gaze Back: an Anthology of Irish Women Writers, which won Best Irish Published Book at the 2015 Irish Book Awards, and in 2016, The Glass Shore: Short Stories by Women Writers from the North of Ireland, which won in the same category. She is currently working on a collection of non-fiction, and a novel. She presents The Book Show on RTE Radio 1. Gorse no. 8 will be launched in The Liquor Rooms, Dublin on Wednesday 19 April from 7.30pm, with readings from the issue by Sheila Armstrong, Sinéad Gleeson, Caitríona Ní Chléirchín, Colm O'Shea, and Dimitra Xidous - further details here. *From Morning in the Burned House by Margaret Atwood, Virago Press Limited, 1995. Originally published by McClelland & Stewart Inc, Canada, 1995. Copyright © Margaret Atwood, 1995. Used with permission of the author.